Syfy is an outlet I go to and watch when I want to take my mind off of real life. Since its debut on my cable network as the Sci Fi Channel in 1992, I was hooked. The USA Network (a partnership venture at that time between Universal and Paramount Studios) picked up the new channel, which seemed like the perfect match for my geek needs. The original programming included classic science-fiction movies and television shows, like Dracula, the Twilight Zone and Star Trek. The two studios had many shows and movies in their vaults collecting dust which the conceptual designers, Mitchell Rubenstein and his wife Laurie Silvers, believed would find a home with a niche group of fans, like myself, who loved science-fiction, monster movies and the bizarre. Over the last 20 years, Syfy went through many transformations: changes of ownership, modification of programming and most importantly, a new image through branding. Over the next few weeks, I am going to delve deeper into the each of these categories Syfy dealt with in a new blog posting. Can Rubenstein get cable operators to carry the Sci Fi Channel? Can the new Sci Fi Channel get enough advertising support? Was there enough Science-fiction movies and shows out there to fill a 24-hour network? The answer to all these questions was a resounding YES! It took only three years to get the USA Network to buy out the network from Rubenstein and Silvers for 8 million dollars. I believe that the science-fiction based network was a good idea, and so did millions of other people. Once USA Network starting broadcasting the Sci Fi Channel, it “set out to push the limits of possibility and imagination on television”, according to the current Syfy Channel website, which it did do. Between 1994 and 2004, the ownership of the Sci Fi Channel changed hands several times with a myriad of new owners: Viacom, Seagram’s, MCA, Matsushita, Barry Diller (head of USA Universal at that time), Vivendi Universal, GE’s NBC, and then finally settling with NBCUniversal, a subsidiary of Comcast Corporation, where it stands today. Today stocks are worth $46.06 per share. Syfy may be a small part of the huge Comcast conglomerate, but I believe that it has helped boost profits for shareholders. Today the NBCUniversal website boats that ‘Syfy is a media destination for imagination-based entertainment. With year-round acclaimed original series, events, blockbuster movies, classic science fiction and fantasy programming, a dynamic Web site (www.Syfy.com), and a portfolio of adjacent businesses (Syfy Ventures), Syfy is a passport to limitless possibilities. 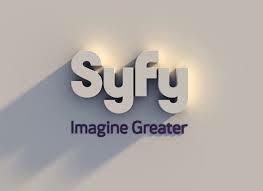 Originally launched in 1992 as SCI FI Channel, and currently in more than 99 million homes, Syfy is a network of NBCUniversal, one of the world’s leading media and entertainment companies. 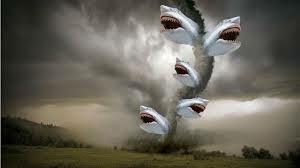 (Syfy. Imagine greater. )” And I agree…the network has become a booming success. 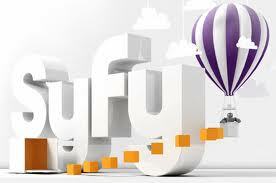 Next week I will discuss the programming changes within Syfy in order to capture and grow a larger audience. Until then…live long and prosper, sci-fi geeks! In 2009, the Sci Fi Channel underwent a chancy rebranding to encompass more genres than science fiction, space and monster movies. 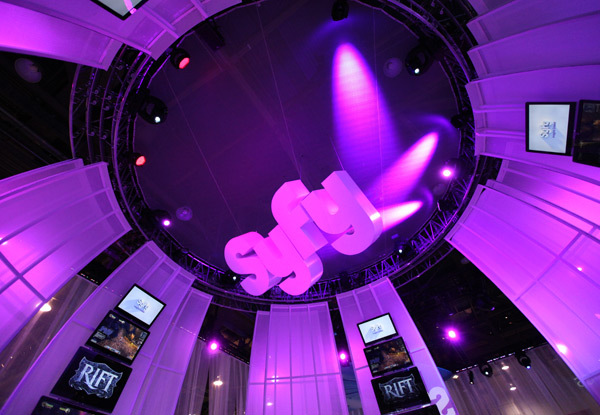 The new name Syfy was a one-word brand that could extend into new platforms and demographics. Today, nearly five years later, Syfy has incorporated action-adventure, mystery, fantasy, supernatural, paranormal, monster/disaster movies, unscripted reality shows and the WWE with the classic sci-fi genre essentials. According to Craig Engler, Syfy has also integrated social media marketing and viewer engagement into not just something the brand does, but as a part of the brand itself, as a part of who they are. The results are a broader audience, diverse programming and an expanded brand presence, with Syfy viewed in more than 98 million homes. Understanding their audience, the psychographics behind why they are watching, viewer behavior, their consumption of media and the way they can accept imaginative ideas was key to identifying and pinpointing untapped markets. The genre of science-fiction is largely seen as a geeky-white guy thing, but Syfy research showed that women, Hispanics, African-Americans and the under 21 crowds were just ripe for the picking. Show like Being Human, Face Off and Defiance (a video-game/TV show hybrid) has taken hold of these demographics. Syfy Everywhere – which provides viewers exclusives and full episodes of their favorite shows anytime, anywhere from any device, and will soon be released on Xbox. 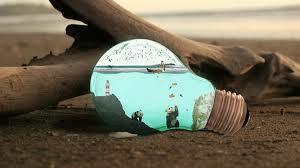 (3) launch targeted products and services that exemplify its “Imagine Greater” tagline worldwide. 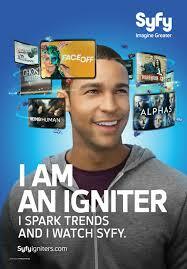 In order to expand the brand and keep the brand fresh, a smart campaign aptly named “Igniters” was created. Igniters targets artistic, highly imaginative consumers that not only sparks trends but have a say in “driving consumer behavior for new products and brands by sharing it instantly through social media and portable, everywhere access”, stated a Syfy press release, adding that Igniters are very active in social media, in touch with fans and the base of the Syfy audience, and are innovators who can influence others. FIND THE NEW: Insatiable need to constantly be in-the-know about the latest and greatest everything. 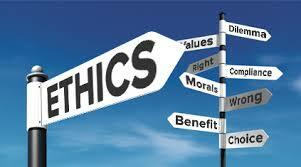 DO THE NEXT: Must-have mentality drives them to try, do and buy the next big thing. SHOW THE REST: Vocal in telling everyone about their latest finds. 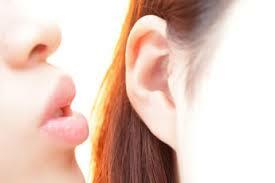 Because they’re at the forefront, people listen to what they have to say. This campaign will not only expand the Syfy brand beyond imagination, but drive the marketplace it created, and I think that’s the idea! With all this going for Syfy, I believe that viewer engagement, social media activity (Syfy Social provides unique social experiences 52 weeks a year via Facebook, Twitter and other social media) and the creativity of the human mind will keep Syfy, and fans alike, around for generations. So, let’s make it so!